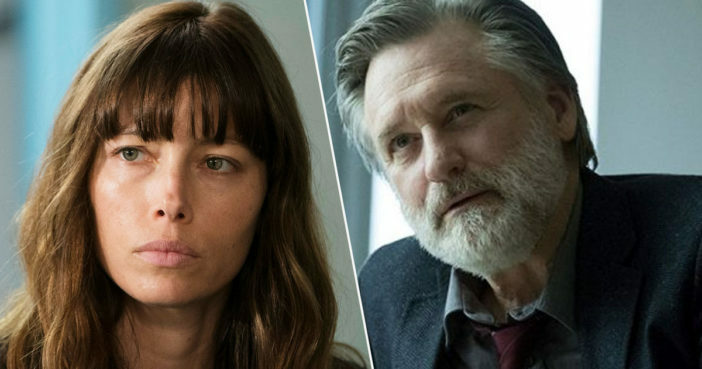 The first season of The Sinner creeped me out in a way no detective show has before, and the second season certainly did not disappoint. It’s become abundantly clear Detective Harry Ambrose (Bill Pullman), is a multifaceted detective for our ages, with the dark, secretive world of The Sinner leaving plenty for the writers to explore. And so I was delighted, but in no way surprised, when I heard there’d be a third series of the twisty crime drama. As reported by The Hollywood Reporter, Pullman will be reprising his role as Detective Ambrose (yay) and will be joined by Matt Bomer (Doom Patrol). Bomer will reportedly play Jamie, a resident of Dorchester and father-to-be, who seeks support from Ambrose in the aftermath of an accident. The Sinner’s third installment follows Detective Harry Ambrose (Pullman) as he begins a routine investigation of a tragic car accident on the outskirts of Dorchester, in upstate New York. Ambrose uncovers a hidden crime that pulls him into the most dangerous and disturbing case of his career. Words can’t really explain the excitement I feel getting to be a part of a show that I’m such a fan of, not to mention working with this incredible cast. Also: it’s really nice to be coming home to @USA_Network – can’t wait! Fans have given words of support to Bomer, and appear absolutely thrilled by his inclusion in the next season. I’m very very excited to see you. I love the show! You deserve that as the best of the best to play with the best. This is a wonderful news. I’m really happy for you and for this new adventure. I can not wait to see you in a new character. Derek Simonds will return as the showrunner, while the brilliant, Emmy-award winning Jessica Biel will be an executive producer, along with Simonds, Charlie Gogolak and Michelle Purple. Adam Bernstein – who’s previously directed episodes of Fargo and Breaking Bad – will be directing the first two episodes of the season. A perfect fit if ever there was one. #TheSinner has been renewed for a 3rd season & White Collar’s Matt Bomer is set to join the show. I honestly can’t wait to spend hours of my life racking my brains over this latest mystery, before having all my suspicions proven wrong at every turn. The 'White Collar' grad will return to USA Network with a role opposite Bill Pullman.